The Leesburg, Ind., Grace Brethren Church (Tim Sprankle, pastor) is holding their annual Fall Festival on October 11 in conjunction with the town’s 175th anniversary. The event will be held at the church at 101 West School Street and across the street at the Lion’s Building. The event will feature J.D. 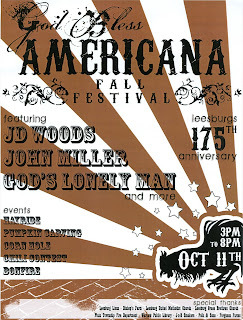 Woods, John Miller, God’s Lonely Man, and more! Other activities include a hayride, pumpkin carving, corn hole games, chili contest, and a bonfire.